TWO unknown knife-wielding men allegedly gang raped and robbed a 16-year-old girl from Nkulumane suburb in Bulawayo. The incident occurred at around 7AM on Monday in a bush near Nkulumane Complex where the teenager had been sent by her mother to buy an electricity token. The teenager’s name cannot be revealed for ethical reasons. 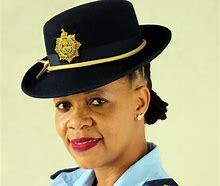 Bulawayo police spokesperson Chief Inspector Precious Simango said the suspects produced a knife and threatened to kill the teenager before they repeatedly raped her. The first suspect raped her twice before handing her over to his accomplice who sexually violated her once. I’m at a loss for words over the abuse of this young child who had to be mercilessly attacked by grown-ups at knife point. “After they had violated her sexually, the two robbed her of the $5 and a cellphone worth $80. The total value of property that was lost is $85,” she said.